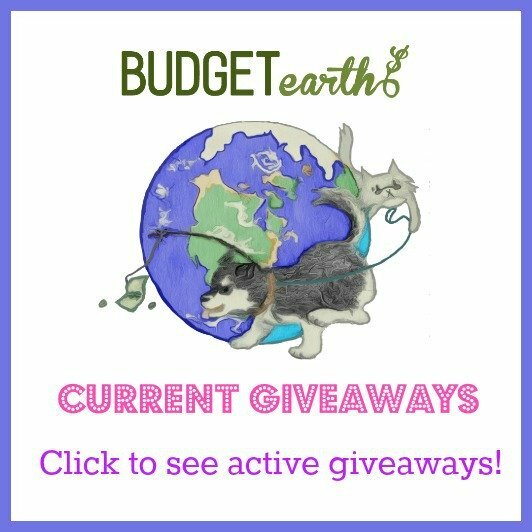 Disclosure: No monetary compensation was provided to Budget Earth or its writers, however we were provided with products and personalization services for review by Night Owl Paper Goods. All opinions are 100% mine. Do you send out Christmas cards every year? For me, sending out holiday cards is a tradition that goes all the way back to when I was a kid. I would sit down with my mom and we would work together filling out Christmas cards. Today, I love being able to shop for Christmas cards and enjoy that the internet allows me to make and order my own personalized Christmas cards online. 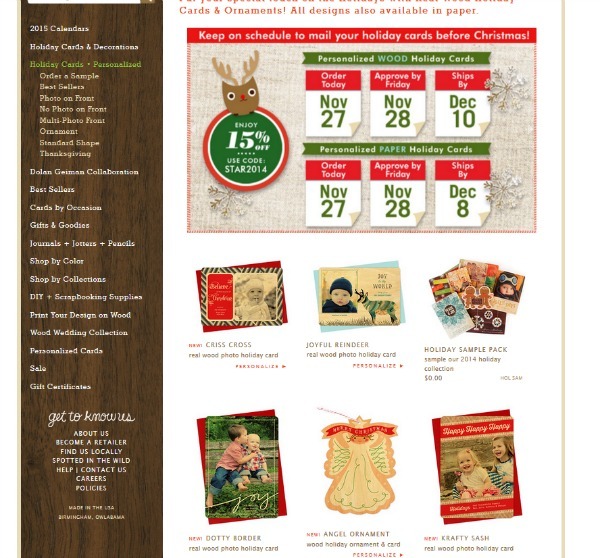 My favorite place where I buy Christmas cards every holiday season, however, is Night Owl Paper Goods. They have the most beautiful, folk-inspired cards designed to be unique and beautiful, and made of real wood too! That’s right – wood! As someone who loves unique things, I can’t pass up the chance to have the most unique card sent to all my friends and family. I have learned, however, that there are quite a few people who don’t realize just how simple making personalized Christmas cards can be. Buying your cards at Night Owl Paper Goods is super easy and likely much cheaper than you may think! Below, we went through all the steps to show you just how easy it is to order cards. 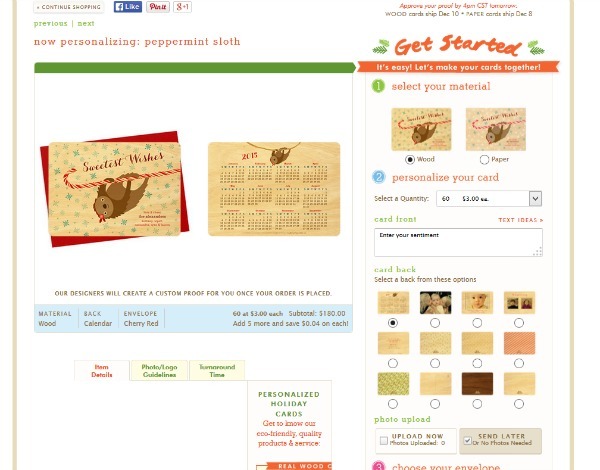 Step 1: Go to Night Owl Paper Goods and go to personalized holiday cards. There, you will find a variety of cute Christmas cards ranging from folk-inspired designs to cute layouts where you can incorporate a picture of your entire family. 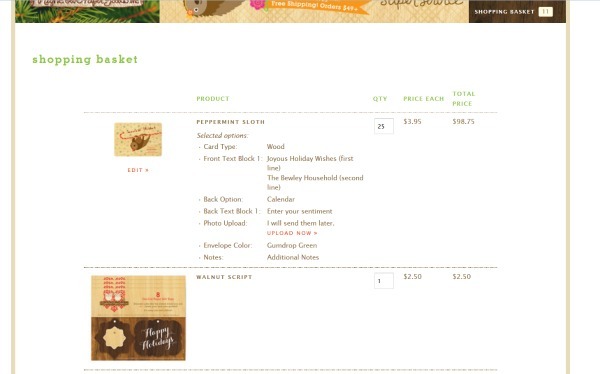 Step 2: In this menu you will be telling Night Owl Paper Goods what information you would like on your card. If you have a card that uses one of your own pictures, this is where you would upload your picture for the card. As well, you choose if you want cards made from recycled paper or wood, what you want your card to say, and what sort of information you want on the back. 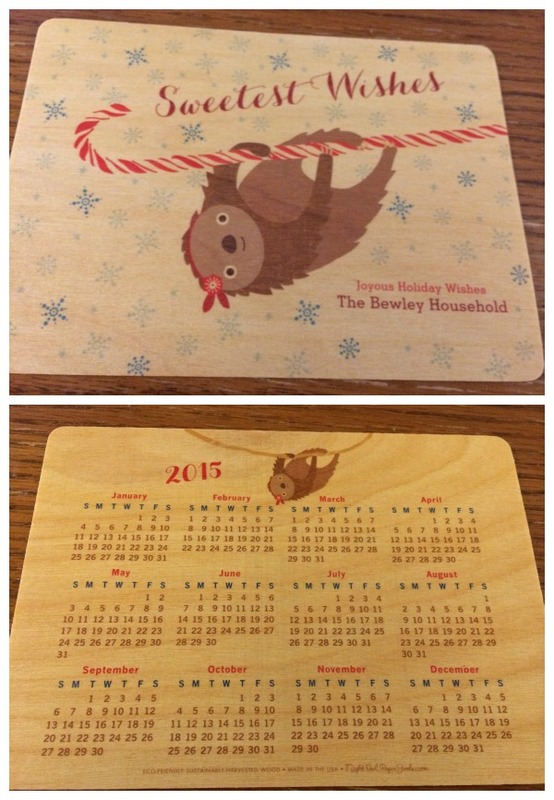 We chose to have the 2014 calendar on the back of our wood cards. Step 3: Once you finish, place it in your card and continue shopping. After you check out, you will be sent a message to expect a proof in your email from them with your information. Now, all you have to do is wait for a real designer to send you a proof of your card. Step 4: With the next day or two, you will receive a proof of your personalized Christmas cards, showing you exactly how they will look front and back. Make sure to look at everything carefully to make sure names are spelled correctly and it looks exactly as you want. 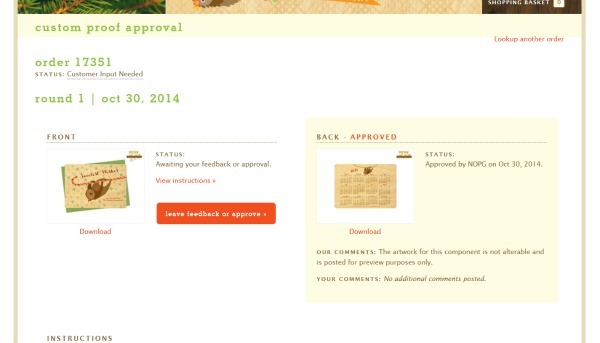 This is where you make any changes or approve your card if you think it’s ready for the next step – printing! Step 5: This is the hardest part – the wait! Based on when you make your order Night Owl Paper Goods will tell you how long it will take them to make the card and have them shipped out to you. Step 6: Admire your beautiful cards when they arrived! As you can see, making your own personalized Christmas cards is super easy! Want to make your own card now? 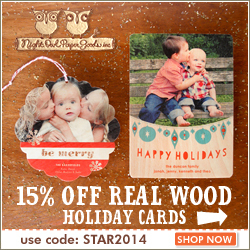 Head over to Night Owl Paper Goods and check out their adorable personalized holiday cards. If you don’t want personalized cards or want to supplement some of your cards with non-personalized cards, don’t forget to check their own Christmas cards as well. ONce you have seen their beautiful cards, you won’t want your cards from anywhere else! Disclosure: Budget Earth did not receive monetary compensation for this post. This post may contain affiliate links. All opinions on this product are my own and may differ from our readers’ opinions. I don’t know how to use a computer other than point and click. Give me a link without underlining it, forget it. I do like personal cards. I think I’ll check into this.